The best way to listen live, stream or download the two-time winner of The Best Political PodcastAward, The Majority Report radio program. 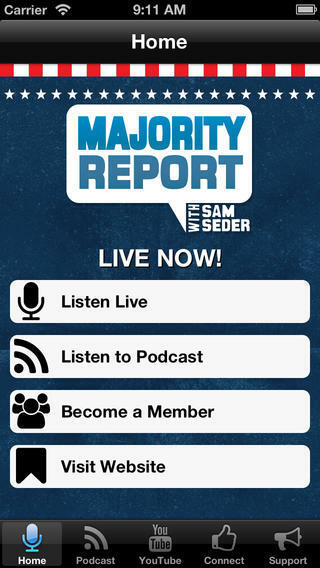 Hosted by Sam Seder, The Majority Report is a smart, daily, political talk show featuring long form interviews with top authors, policy makers, reporters, filmmakers and comedians. Seder is a long time political talk show host and in addition to frequent appearances on CNN, MSNBC and CNBC, he has sub hosted for Chris Hayes and Keith Olbermann. Download the iphone/ipad app here! + Easy live audio and video streaming of the Monday through Friday live show at 12PM ET to listen or watch anywhere. 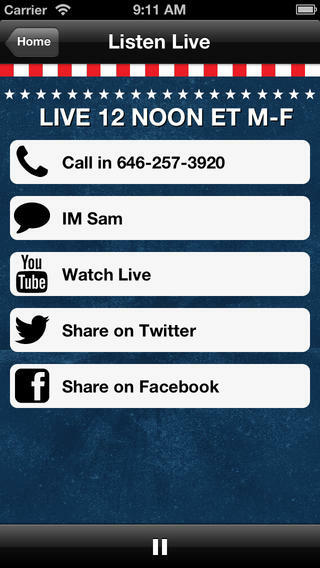 + One tap call in to the live show. 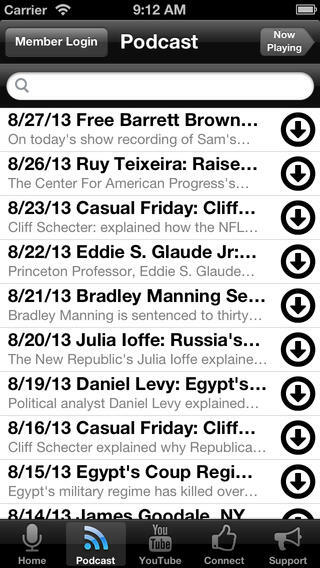 + Streaming of the most recent 25 daily podcasts. + MEMBERS not only get access to the extended show but also get download and streaming access to over two hundred past episodes of the Majority Report. + Watch all Majority Report YouTube videos.